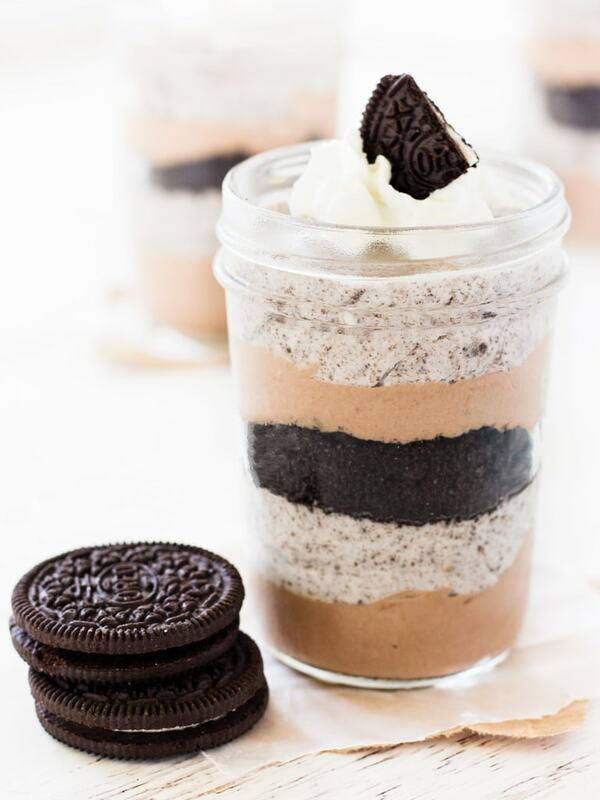 Chocolate cheesecake oreo parfait is a no-bake recipe served in mason jars for entertaining guests. Each jar is layered with chocolate and oreo flavored cheesecake! We are going through a serious heatwave in Connecticut so my desire to turn on the oven is next to zero. 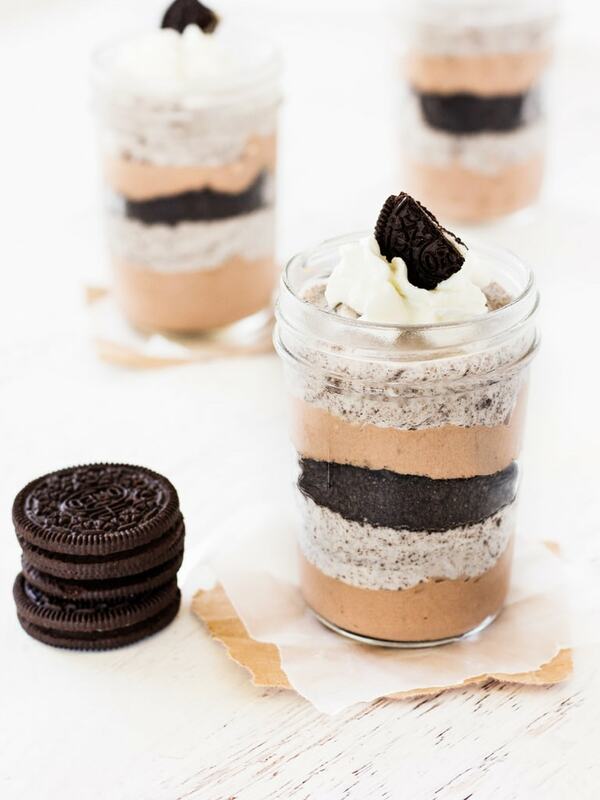 Thankfully there are no-bake desserts like this chocolate cheesecake oreo parfait. It’s been quite some time since I’ve made parfait and this was exactly the dessert I needed. Layers of cheesecake goodness flavored with cocoa and oreo crumbs. If this doesn’t satisfy a chocolate craving, I’m not sure what will. 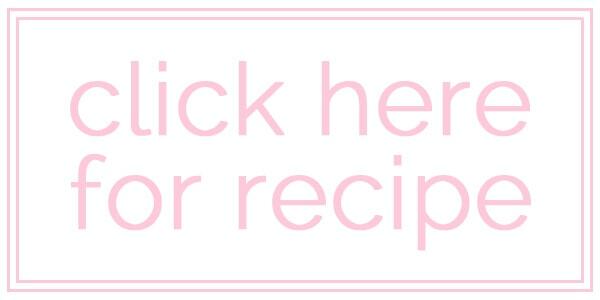 This recipe is easy to make too. I made the eggless cheesecake base first then separated it into two bowls. In one bowl I added good quality cocoa powder and in the second bowl I added finely crushed cookie crumbs. 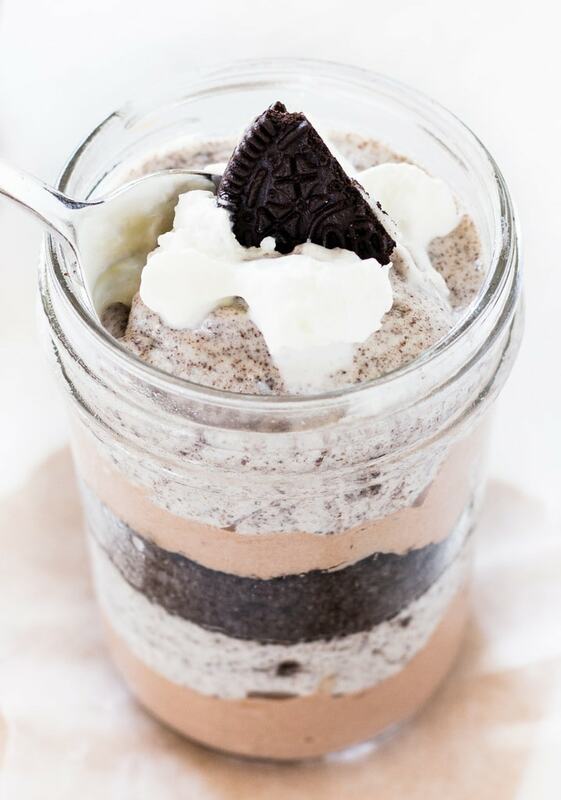 From there, simply layer the cheesecake layers in a mason jar with extra oreo cookie crumbs for good measure. Chill in the fridge and grab one when the chocolate craving hits! The single serving size in a mason jar is also perfect for entertaining guests. Having a small get together with friends? 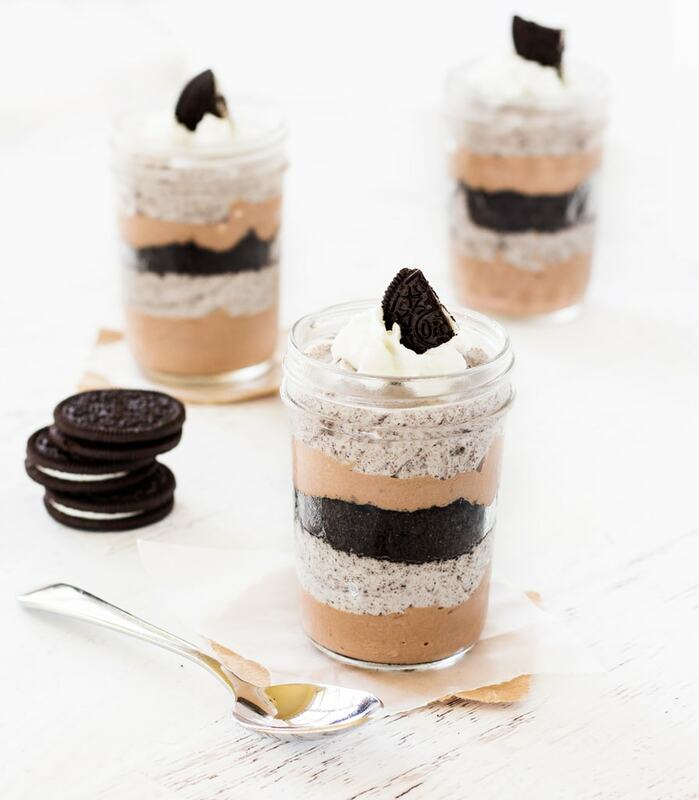 These chocolate cheesecake oreo parfaits are at the ready when people are ready for dessert. For this recipe, I partnered up with Ashley at Spoonful of Flavor. 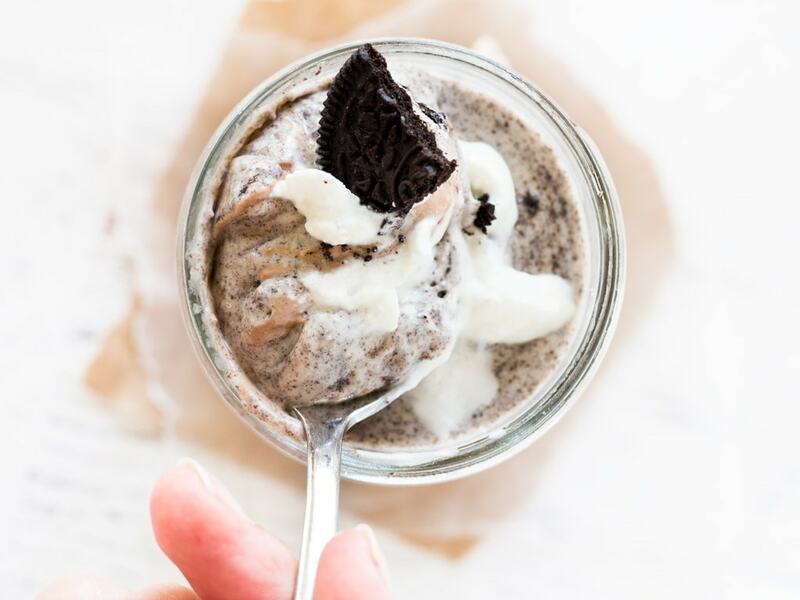 Head on over to her blog to see the full recipe for these chocolate cheesecake oreo parfaits! If you like this Oreo parfait, try chocolate cheesecake bars! Perfect dessert in the summer heat. Love the idea of the mason jars. Thank you for bringing this to FF. YUM, basically drooling right now looking at this! How delicious! This would be a great summertime treat. Thanks for partying with us at Snickerdoodle. I’ll be featuring this at today’s party.